Altitude Global is the UK’s largest independent, family owned EASA Part 145 Line Maintenance provider with an established network of long-term, well equipped, well supported and stable line stations across the UK, Europe and the Middle East. We are renowned for providing high quality dedicated services to several operators within the specialised freight market. Altitude Global also has its own dedicated in-house EASA Part 147 Training School where we provide all our engineers with continuation training including Human Factors, EWIS and FTS. Over the past 5 years we have trained over 150 of our engineer on various aircraft types. Do you want to be a valued member of the team, feel like you belong, working for a stable organisation, with good support and a manageable workload? Are you looking for something more long term with a company that cares? We take pride in always paying our Engineers and Mechanics on time, every week. Altitude Global is proud to announce the establishment of its new EASA Part 145 Line Station at London Heathrow Airport in support of our launch customer Air Astana. 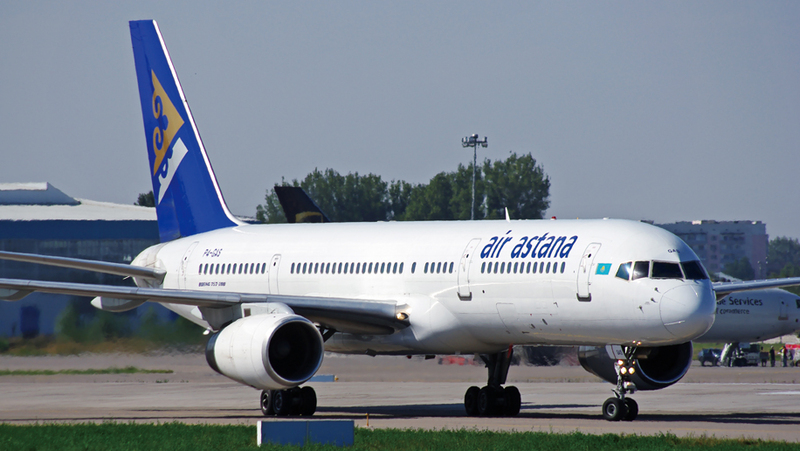 Air Astana is the principal airline and the flag carrier of the Republic of Kazakhstan, based in Almaty, Kazakhstan. It operates scheduled domestic and international services on 64 routes from its main hub, Almaty International Airport, and from its secondary hub, Astana International Airport. Altitude Global has been working with London Heathrow Airport over the past few months to establish a new EASA Part 145 Line Maintenance Station at Terminal 4. We are now very happy to announce that the station is approved and fully operational. Yesterday (Thursday, 1st June 2017) our engineers performed our first turnaround service with our launch customer Air Astana. Amsterdam Line Station officially open ! We are pleased to announce our new Part 145 Aircraft maintenance facility is now up and running at Amsterdam Schiphol Airport. Shortly we will be approved to maintain Boeing 757's and Airbus A300-600 from our customer dedicated office. If you have any maintenance requirements at Schiphol please give our Commercial Team a call at our London Stansted HQ on +44 (0)1279 210000. If you would like to see where else we currently have Part 145 approved Line Stations, please click HERE. We've reached 1000 followers on LinkedIn ! We have recently exceeded 1000 followers of our Linkedin company page - a great achievement! The aim of the page is to keep people up to date with news about our business and current contracts we are working on. We've got some interesting things planned for the future so we'll be using Linkedin as a way of telling people all about them. To make sure you're one of the first to hear about our news, follow us here. We would like to congratulate Rob Ballantyne, Manager Maintenance Control and International Maintenance of WestJet*, on winning our Private flight for four over London! We hope Rob and his lucky group enjoy their experience seeing the capital and famous landmarks from above in their private aircraft. We would like to thank everyone who took the time to enter our competition at the MRO London in October. * WestJet Airlines Ltd. is a Canadian carrier that provides scheduled and charter air service to 90 destinations in Canada, the United States, Europe, Mexico, Central America and the Caribbean.